DALLAS — Jim Caviezel said he chooses to star in films he believes will "bring the most souls to Christ" after God delivered a heartbreaking message to him when he played the role of Jesus in the 2004 film "The Passion of the Christ." "When [God] came close to me in 'The Passion' when I was on that cross, [He said], 'They don't love me. There are very few,'" Caviezel told The Christian Post. "I was like, 'Well, I'm going to love You, and I'm going to tell You that I love You.' Tell it publicly, I don't care. I'm less afraid of ISIS than I am the media." "That's why our Lord is so alone — His creatures do not love Him," he continued. "And, He could force Himself on us, but would that be love? I don't think so. I'm so blessed because I get to convey those stories, but do it in a way ... that I know can bring the most souls back to Him, even those that don't believe." 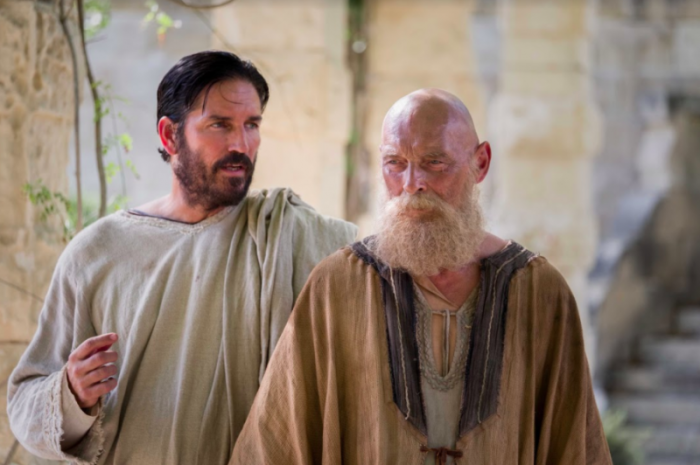 In the recently-released film "Paul, Apostle of Christ," Caviezel stars as Luke, a colleague of the Apostle Paul's (James Faulkner). Nearly three decades after Christ's death and resurrection, Paul is languishing in a prison in Rome, awaiting execution under order from Nero. Meanwhile, the early Christians are experiencing extreme persecution, having been blamed for a tragic fire in Rome. Under these circumstances, Luke visits Paul in prison, hoping to glean wisdom from the seasoned apostle that will give hope to local church members. 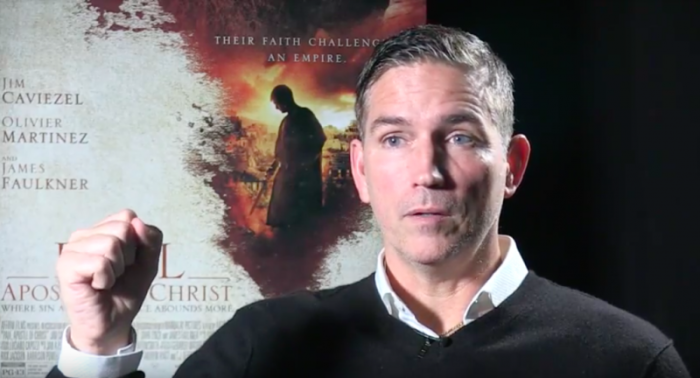 Caviezel told CP that prior to receiving the script for "Paul, Apostle of Christ," he experienced a series of life-changing events, including the death of his friend and lawyer, Frank Stewart, and sobering visit to Auschwitz concentration camp. But what affected him most, he said, were images shown to him by some Navy Seal friends: Christians crucified by the Islamic State terrorist group on Good Friday of last year. "I got this script, and I read it, and I immediately thought, 'Wow, saints, murdered, killed,' and I thought about Frank being a mentor, and I thought that maybe Paul was a mentor to Luke, like Frank was to me, and it that's how it organically happened," he shared. "So much of the time when I see these movies, they don't hit me because they're too fundamental or the performance is strong, but they change the words or they lose that human aspect to it," Caviezel told CP. "What I found with Faulkner was the humor, the relationship, that these guys would've had with each other." Through the film, Caviezel said he hopes to draw attention to the persecuted Church — a problem still pervasive around the world today. The actor said he's inspired by Christians, who, like Paul, sacrifice everything for their faith, as they will be remembered for loving God in a special way. "When James and John are talking, 'I want to sit at your right and left hand side,' that's what appealed to me," he said. "And, I saw Paul being like that, and Luke being like that, that they would go the extra mile. There's so many of us that are called, but few choose." Before taking on the role of Luke, Caviezel said he prayed one simple prayer: "Lord, I don't want the world to see me, I want them to see You. You gotta get closer to me." "It's really like a conversation just like that, and I pray from the heart," he said. "Christ is the most authentic thing that ever was and the people that really affected my life were those that I played on screen, and Jesus." From Sony's Affirm Films — the company behind "Miracles from Heaven" and "Heaven is for Real" — "Paul, Apostle of Christ" was released ahead of Easter weekend, perfectly timed in its themes of sacrifice, suffering, and faithfulness. Quietly woven throughout the film are lines taken directly from scripture — phrases Caviezel hopes will "go past the brain and into the heart." "They slipped it in there; it's a book over here, a line over here," he said. "I took a friend of mine to see [the movie], who doesn't even believe in [God], and he said that the director was genius. He called him a philosopher. And I said, 'Why do you say that?' and he said, 'Well, that line, I love it: 'To live is Christ, to die is gain.' I said, 'Well, that was actually Paul, you know.'" "But he didn't know that," he said with a chuckle. "We didn't want to hammer you over the head with it." Caviezel — who is set to reprise the role of Jesus in a forthcoming sequel to The Passion Of The Christ — said he hopes the unwavering faithfulness of Paul and Luke in the face of danger encourages a society riddled with division and unrest. "The power of it is that, when these guys walk out [of the theater], they go, 'Wow, even in the face of evil, God still rests with me and I'm not afraid anymore,'" he said. 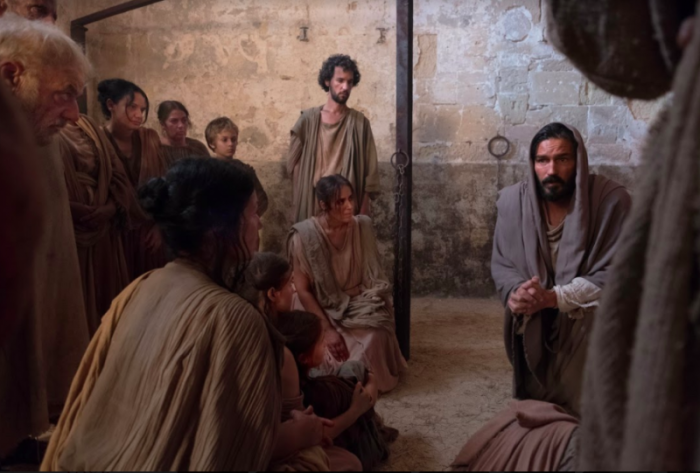 Filmed in Malta, "Paul, Apostle of Christ" also stars Olivier Martinez ("S.W.A.T. "), Joanne Whalley ("A.D. The Bible Continues") and John Lynch ("The Secret Garden"). For more information visit the film's website.